Your wedding day is a historic moment in your life, so make it extra special at a historic Bucks County wedding venue. 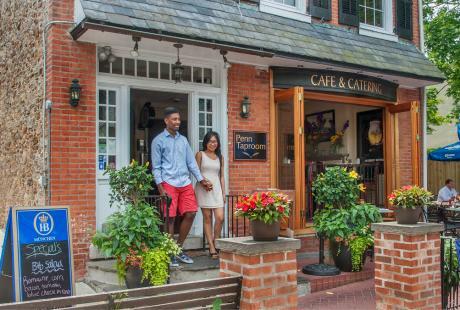 Many of Bucks County's historic sites are available for weddings and receptions, offering a romantic location with a historic feel. Aldie Mansion began its history as a beloved private residence. Commissioned by Henry Chapman Mercer&apos;s brother, William Mercer, as an ode to the English Tudor manor, this stately 1927 mansion evokes a time in America when craftsmanship reached an art form. The Aldie gargoyles, intricate brickwork, antique tiles and charming garden ornaments have been faithfully preserved as part of Bucks County&apos;s unique heritage. 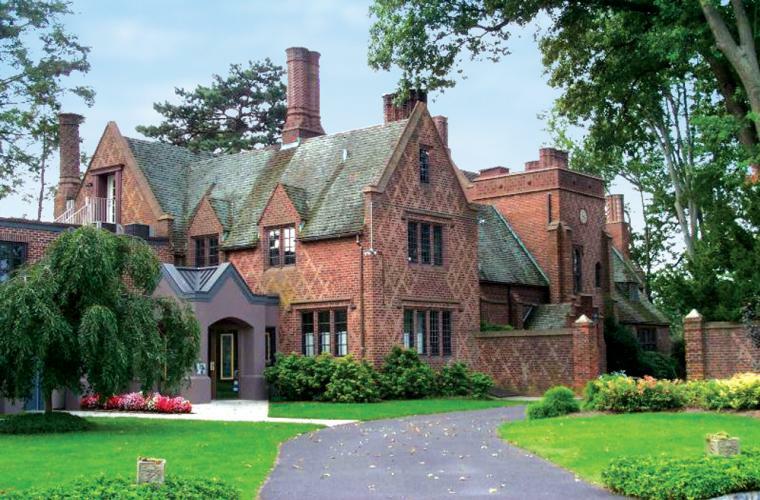 While this early 20th-Century estate&apos;s period charm adds to the character of any special event, the restored mansion offers the space and amenities of a more contemporary venue including a 2,400-squarefoot atrium and a library, gallery and great hall for more intimate gatherings. Andalusia offers the perfect venue for your special day, with the beautiful riverfront location serving as a historic backdrop. The Special Events Director will help manage your day, personally making sure you have everything you wish for your wedding. Options for the wedding ceremony and reception include a variety of outdoor locations with river or garden views. Your day at Andalusia also includes use of the restroom facilities and on-site event staff during the wedding. 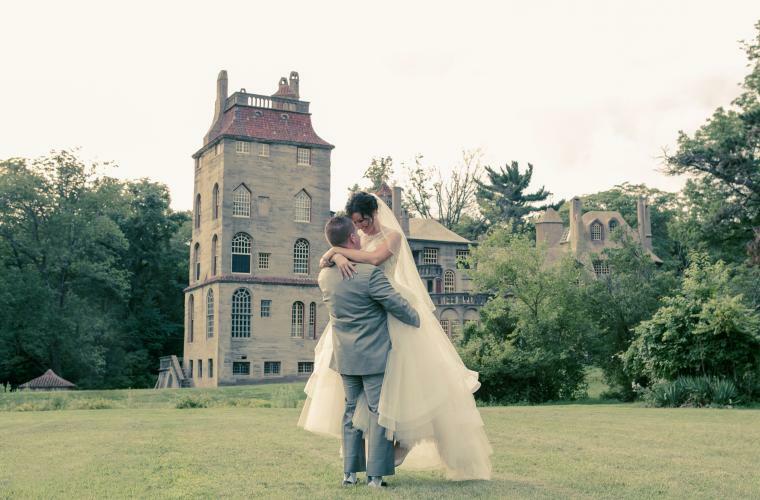 Doylestown native Henry Chapman Mercer left behind a pair of concrete castles that are perfect for your wedding celebration. Fonthill Castle, Henry Mercer&apos;s palatial home, is home to the Elkins Gallery, an elegantly appointed dining room that can accommodate up to 40 guests for an intimate indoor wedding reception with dinner and dancing, or 200 guests for a grand outdoor tented wedding. The nearby Mercer Museum, which houses Mercer&apos;s collection of Americana artifacts, can accommodate small receptions of up to 60 inside the Great Hall. Museum admission is included for all guests at both venues. Have an out-of-this-world wedding at the The Fuge in Warminster. Once home to NASA&apos;s astronaut training center, The Fuge is now one of Bucks County&apos;s unique party venues. The 11,000 sq. foot room is set up around the training apparatus from which The Fuge takes its name, the Johnsville centrifuge. 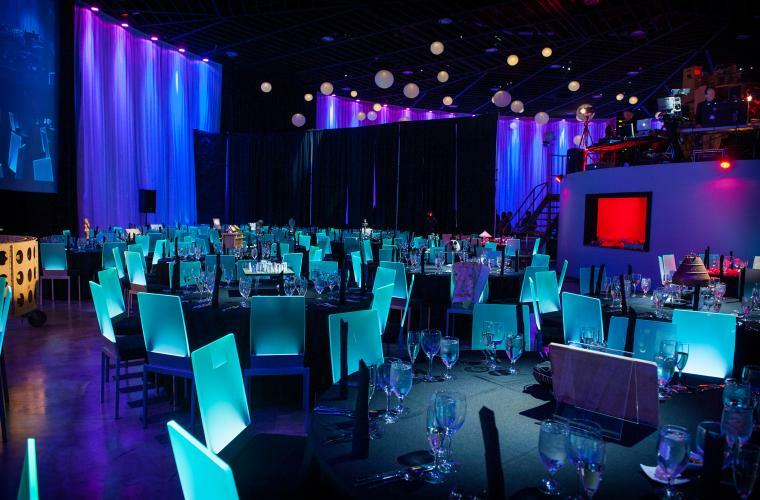 The facility includes state-of-the-art sound and lighting systems, and event planners are available to help you turn The Fuge into your dream venue. Say "I do" at the historic riverfront estate of Glen Foerd. Built in the 1800&apos;s, this picturesque palace was the scene of many gala summer affairs. The mansion and grounds will be all yours for the day to enjoy the natural outdoor beauty of the estate. Receptions are held in the historic riverfront pavilion. 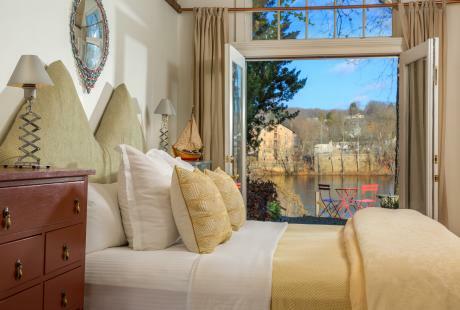 Once the home of Pulitzer Prize-winning playwright George S. Kaufman, the Inn at Barley Sheaf Farm is now one of Bucks County&apos;s premier bed and breakfasts. Barley Sheaf Farm is also a premier wedding venue, offering space for parties from 30 to 300 guests. Multiple wedding packages are available, each one including a five-hour event, use of the entire grounds, setup and breakdown, event planning and rentals for tables, chairs, linens and place settings. 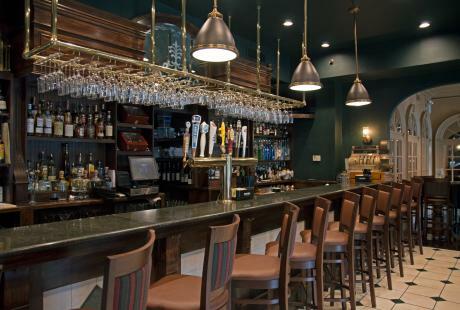 Three-course meals with hors d&apos;oeuvres, salad, entrees and cake are also available through Barley Sheaf&apos;s on-site catering. One of the leading writers of her time, Pearl S. Buck made her home in Bucks County. Today, the Pearl S. Buck House and Historic Site offers visitors a glimpse into the life of the Nobel Prize-winning author of The Good Earth, and the beautiful estate is available for private rentals. Exchange your vows on the 68-acre grounds before moving the party underneath the garden tent which can accommodate up to 350 guests. The reconstructed colonial home of William Penn, Pennsbury Manor sits on 43-acres along the scenic Delaware River. 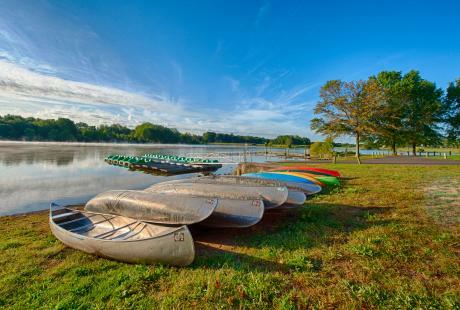 Pennsbury&apos;s riverfront provides a picturesque setting for ceremonies while the grounds can accommodate up to 300 guests. 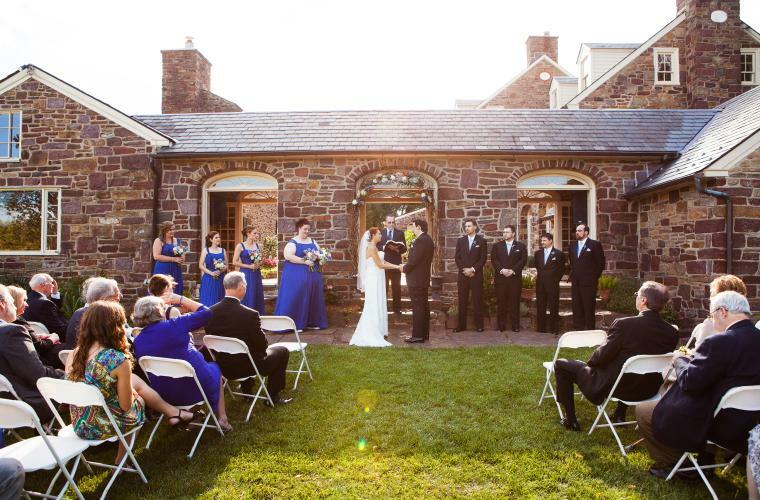 For a more intimate wedding, the Manor House can fit 100 for indoor ceremonies or receptions. Indoor events can be hosted year-round while outdoor wedding rentals are available between May and October. Pen Ryn Estate, an 18th century Victorian Estate that once housed notable Pennsylvania families located along the scenic Delaware River, is a perfect location for your historic Bucks County wedding. The 2,000 foot long tree-lined driveway will lead guests to Pen Ryn Mansion and Belle Voir Manor. Multiple wedding packages are available that offer the exclusive use of the facility, gardens and grounds for five hours. Cocktail hour is served in a separate Manor with adjoining patios that have customizable options for appetizers and drinks. 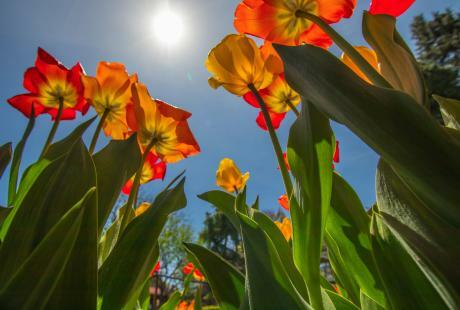 This one-of-a-kind show features Bucks County's finest venues and exhibitors.